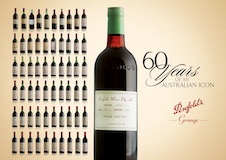 Fine wine and luxury spirit retailer Le Clos has unveiled the ‘most complete and unique’ collection of Penfolds Grange. The Penfolds Grange collection at Le Clos – situated in Dubai International airport – is now available for AUD 660, 000 and includes every vintage from 1951 to 2010. The makers of Penfolds Grange worked closely with Le Clos to certify the collection, including the re-corking of six vintages by Penfolds chief winemaker, Peter Gago.